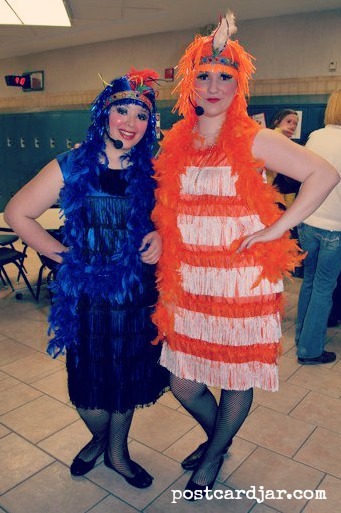 Meghan and Anna in the musical Seussical in 2010.
and it was so much fun to get to know Anna and learn about her home country and her travels. One of my fondest memories of Anna was watching her and Meghan perform in the high school musical, Seussical! Since leaving the United States, Anna has continued to travel and study abroad. Recently, she spent six months studying in Buenos Aries, Argentina, and we were just delighted to receive a postcard from her while she was there! Study abroad programs are a fantastic way to immerse yourself in another language and culture. They also provide great opportunities to travel, often with locals who know the area best. 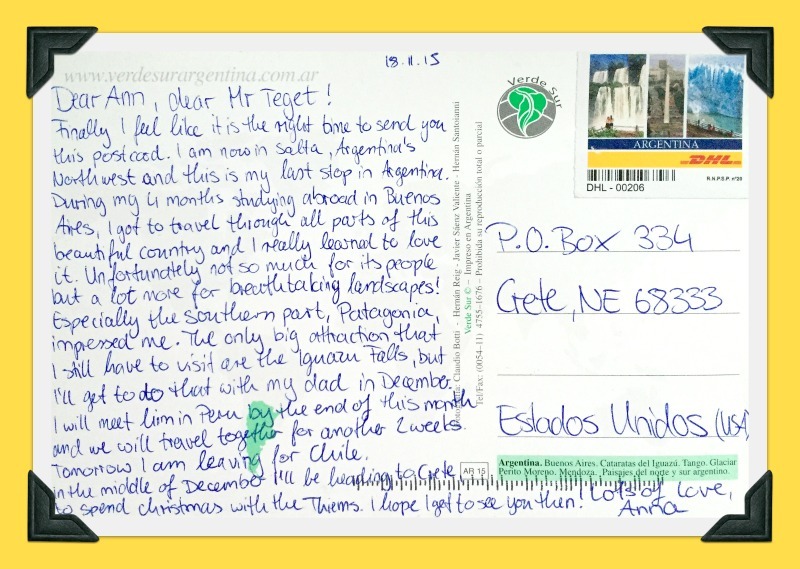 In her postcard, Anna wrote that she had been able to travel to all parts of Argentina and noted the breathtaking landscapes. We also learned from her travel blog that she visited old Inca sites and – of course – the Machu Picchu! Anna experienced sand boarding there and saw the beautiful waterfalls, and spent time in Rio de Janeiro where the Olympic Games will be held later this year. We are so grateful for our friends, the Thiem family, for hosting Anna while she was a foreign exchange student in Nebraska. It has been fun for us to follow Anna’s incredible experiences as she has traveled the world and we sincerely hope our paths will cross again.